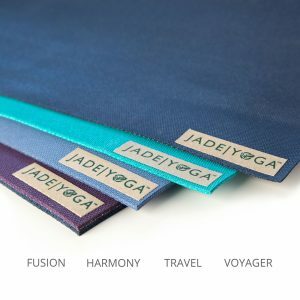 We are happy to introduce our widest, thickest and longest mat – the Jade Fusion XW. The Fusion XW is perfect for yogi’s who prefer a bigger surface with extra cushion for their body. 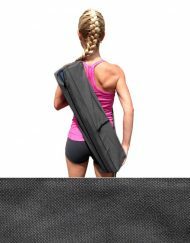 Like the rest of our mats, the Fusion XW has incredible grip, great comfort and is truly eco-friendly. 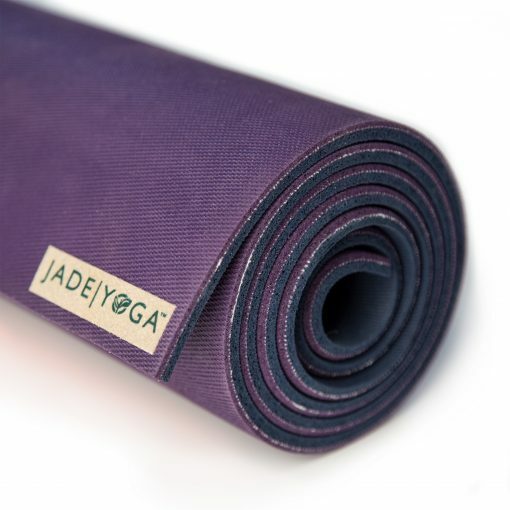 Jade mats are made sustainably with natural rubber tapped from rubber trees, a renewable resource and unlike other mats contains no PVC, EVA or other synthetic rubber and are made in the United States in compliance with all US environmental, labor and consumer protection laws. And, Jade plants a tree for every mat sold – with over 1,000,000 trees planted so far. 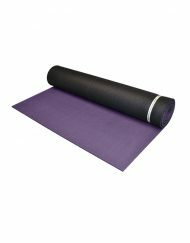 The Fusion XW is 5/16″ thick, 28″ wide and 80″ long in a beautiful Two tone Purple/Midnight Blue. This mat is just what I need. I have both thicker mats and this one being wider and longer is EVERYTHING to me. 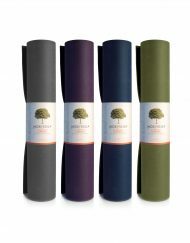 I’ve tried the Manduka but returned it due to the initial film and it just doesn’t have the cushion as this one. I’m a lover for life! The extra width and length is wonderful, but that’s not the best part. I love how it is so cushy and supportive at the same time. I’m able to get into positions easier and longer. 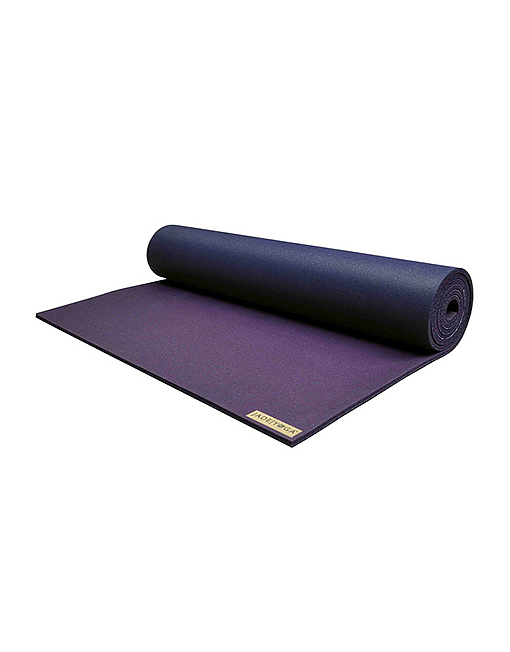 I’ve been using my Manduka black pro the last five years, while I do like it, I don’t love it like this mat. 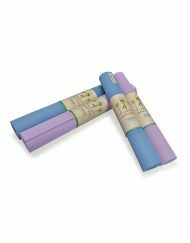 This thicker mat is perfect for the person who has occasional knee problems or just wants more cushion between yourself and the floor. I’ve used mine religiously for almost 3 years and have had no problems. I love my mat! Perfect mat for my private practice.is beatiful and excelent grip.this mat #1 of the world.namaste jade ,thank.